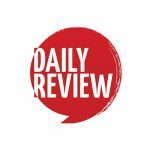 Melbourne Theatre Company season 2017 | Daily Review: Film, stage and music reviews, interviews and more. Melbourne Theatre Company’s 2017 season features eleven mainstage productions and seven of them can be considered comedies (and among them are three new Australian plays), the directorial debut of Judy Davis in Melbourne and former MTC artistic director Simon Phillips returning to direct Macbeth. Cast of the screwball comedy made famous by the 1950 George Cukor film includes Heidi Arena, Christie Whelan Browne, Joel Jackson, Richard Piper. Director Dean Bryant, set and costume designer Dale Ferguson, lighting designer Matt Scott, composer and sound designer Mathew Frank. Cast includes Julia Blake, Ursula Mills, and Helen Morse. Director Sarah Goodes, set and costume designer Elizabeth Gadsby, composer and sound designer Russell Goldsmith. Cast of the drama of four monologues includes Colin Friels, Pip Miller, and Alison Whyte. Director Judy Davis, set designer Brian Thomson, costume designer Tess Schofield, lighting designer Verity Hampson, composer and sound designer, Paul Charlier. (A Belvoir Theatre, Sydney production). Director Sarah Goodes directs cast including Catherine McClements in this savage comedy of manners. Cast includes Nancye Hayes, Sue Jones, Rhys McConnochie, Virginia Gay and John Leary and Georgina Naidu in this off-beat comedy. Directed by Anne-Louise Sarks. Sam Strong directs an MTC and QTC co-production of the backstage farce with a cast that includes Simon Burke. Marion Potts will direct a cast led by Nadine Garner in this comedy exploring female friendship. Cast includes Simon Gleeson, Marina Prior. Cast includes John Bell, Ian Bliss, Marco Chiappi, Anita Hegh, Natasha Herbert. Director Damien Ryan, set and costume designer Alicia Clements, lighting designer Rachel Burke, composer and sound designer Steve Francis. Cast of Perfect’s second play includes Brent Hill and Verity Hunt-Ballard. Director Dean Bryant, set and costume designer Owen Phillips, lighting designer Ross Graham. Main photo: John Bell in a promotional image for The Father.